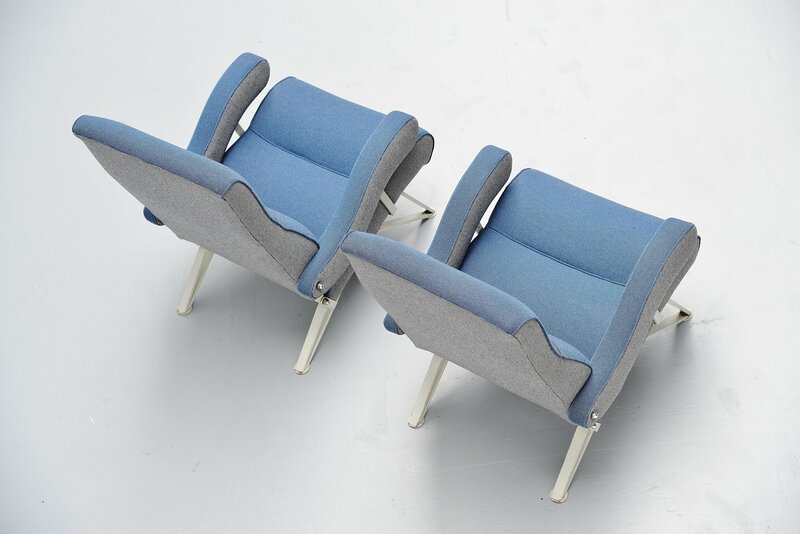 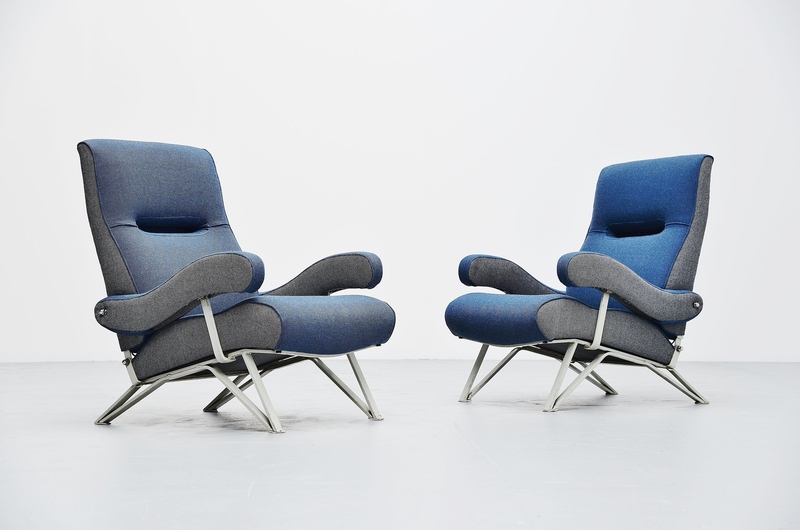 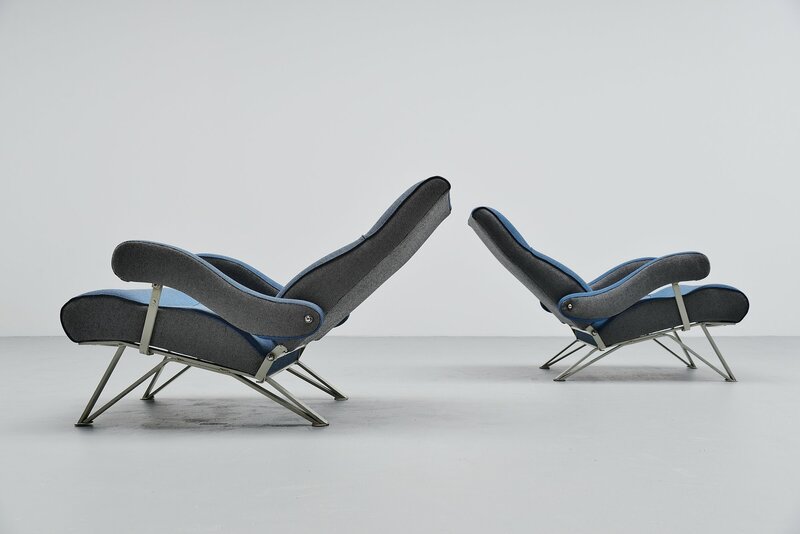 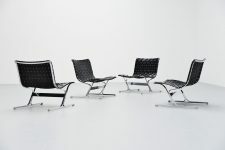 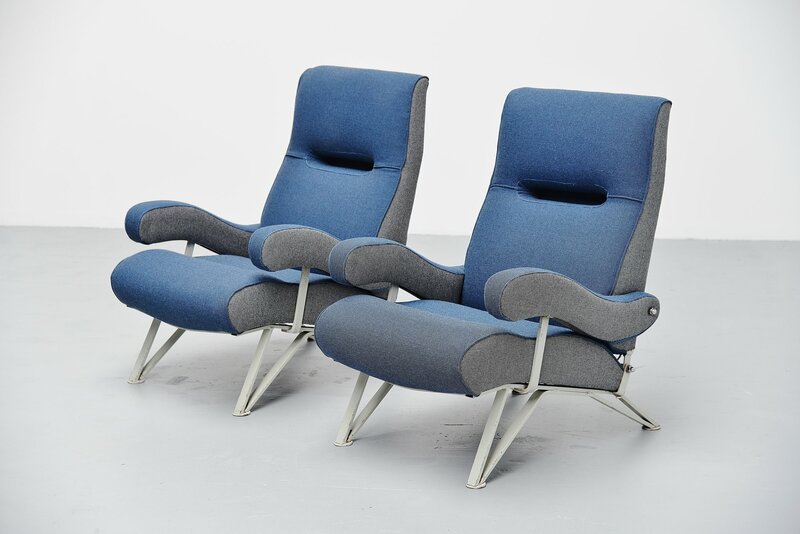 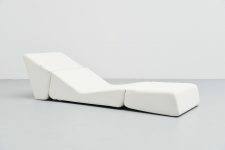 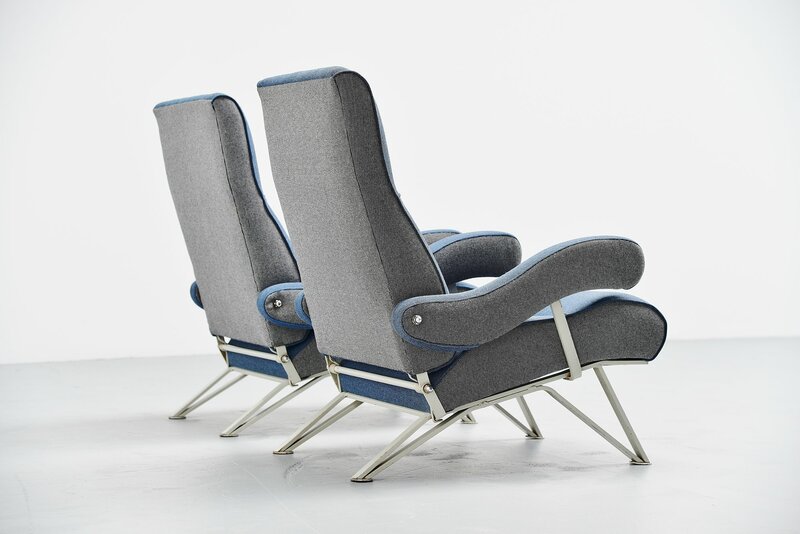 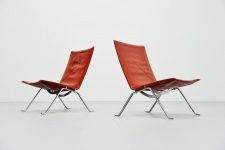 Fantastic shaped pair of reclining chairs designed by Gianni Moscatelli and manufactured by Formanova, Italy 1959. 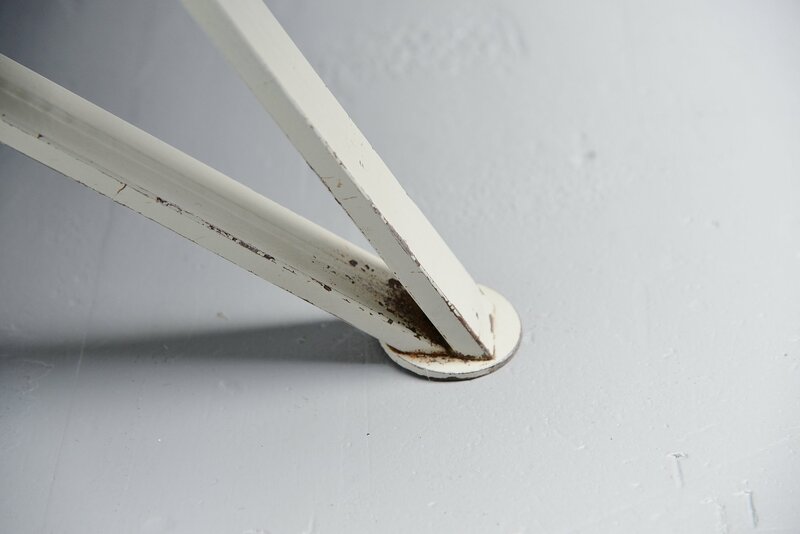 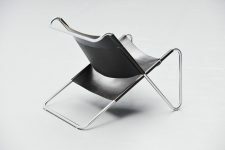 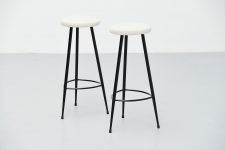 The chairs have light grey painted metal frames and are newly upholstered with high quality fabric by de Ploeg. 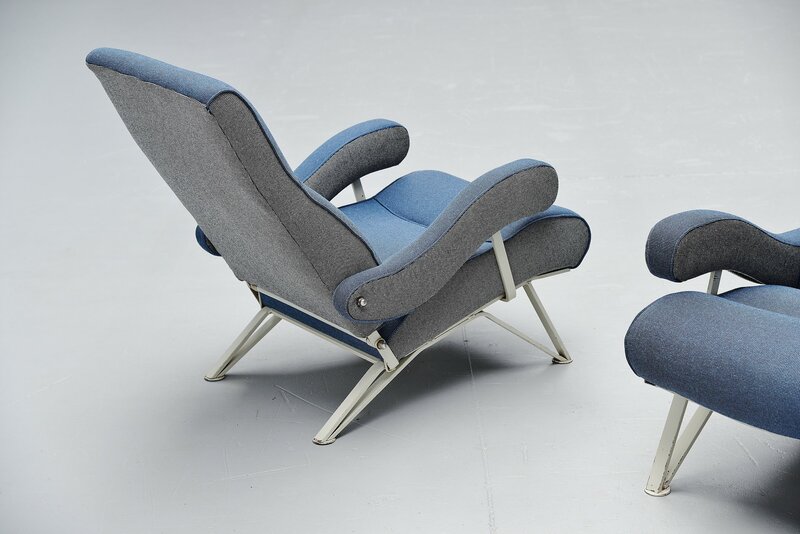 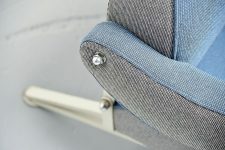 Very nice two tone fabric in grey and blue, upholstered like they originally were. 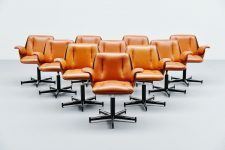 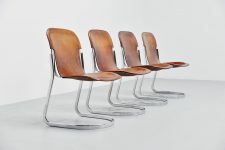 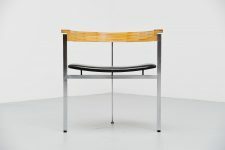 The positions of the chairs are adjustable for different comfort seating. Chairs look fantastic in a pair and seat amazing as well. 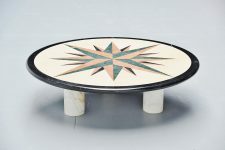 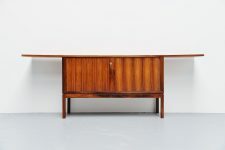 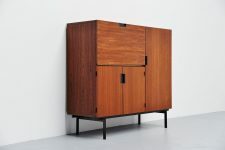 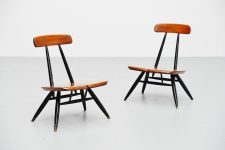 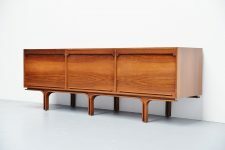 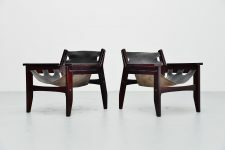 Rare and early chairs by Formanova.